There are excellent options for teeth whitening in West Chester available at West Chester Dental Smile Center. 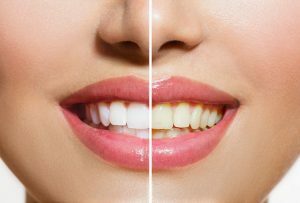 For individuals with stained or discolored teeth, teeth whitening is a simple cosmetic dental procedure that can leave your teeth several shades white. There are many over-the-counter teeth whitening products, however, for safe and effective treatment, it is best to contact a dental professional before embarking on teeth whitening yourself. At West Chester Dental Smile Center, our expert cosmetic dentist will first determine if you are a candidate for teeth whitening, and will then customize a course of treatment to suit your individual needs. Over-the-counter whitening products are often not as effective as promised and may even damage teeth or irritate soft tissues of the mouth. As a rule, the safest teeth whitening systems and those that achieve the best results are available at your professional dental office. In fact, at West Chester Dental Smile Center we use one of the most advanced in-office teeth whitening systems to give you a whiter and brighter smile in just an hour. For individuals who are looking for the convenience and comfort of a teeth-whitening procedure at home, we also offer a customized teeth whitening kit. 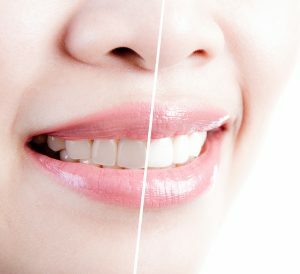 While the improvements achieved with an at- home whitening system are achieved more gradually, the results are excellent. A home whitening kit may also be used to boost the results of your in-office procedure, or to periodically renew your bright, white smile. Of course, not every procedure is for everyone. Individuals with worn enamel, tooth sensitivity or gum disease are advised against tooth whitening products and procedures and should consult West Chester Dental Smile Center for the most appropriate and pleasing alternative cosmetic dental solution to renew and enhance their smile. A beautiful smile can make you feel more confident in professional and social settings. To achieve a brighter, whiter smile, visit us at West Chester Dental Smile Center, your local, trusted provider of teeth whitening in West Chester. Call for an appointment today. This entry was posted in Teeth Whitening and tagged 45069, Dental Exam, Dental Office, Dentist, Dentistry, Teeth Whitening, West Chester on April 11, 2017 by admin.